I'm intrigued by sangria and margarita. I also "liked" Becky's page on facebook. I would LOVE to try the espresso dark chocolate caramels! What a great giveaway! I remember that article and how impressed I was with Becky's spirit and tenacity...really truly inspiring! Thanks for featuring her work. Her caramels look so delicious! I'd love to try the simple Sea Salt flavor just because I love that combo, but the other flavors would quickly follow, especially that Margarita version! I wonder if she could also do liqueur-tinged flavors like Frangelico caramels or Amaretto caramels...? Anyway, thanks for the giveaway and for the link to her shop...cheers! Moonsword - I know Becky has contemplated other liqueur-tinged flavors. However, since her business is strictly organic, she'd need to find organic sources for the liqueurs. In some cases, that's a real stumbling block. But, I love your ideas, and will pass them along! I would most like to try the cashew caramels, but I am deeply intrigued by the beer and pretzel caramels! I also liked Becky's facebook page. I didn't have to scroll any further than Beer & Pretzel! I liked her on FB too. Mmmm! Dark Chocolate Sea Salt--drooling just at the picture! Inger at artofnaturalliving at live dot com. First thing I saw!! 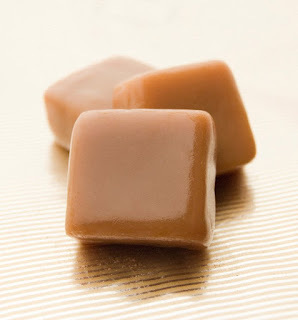 Margarita caramels. Love me some margaritas. Dark Chocolate Sea Salt... kind of my "passion" combination at the moment. What a great success story! I love seeing how many markets carry her products. I've tried Becky's dark chocolate and sea salt. Awesome combo. I'd be really interested to try the beer and pretzel caramel. I liked Becky's on facebook! 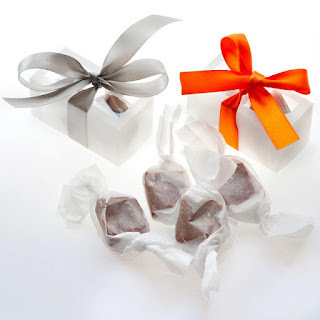 I'd love to try the Chai tea caramels! 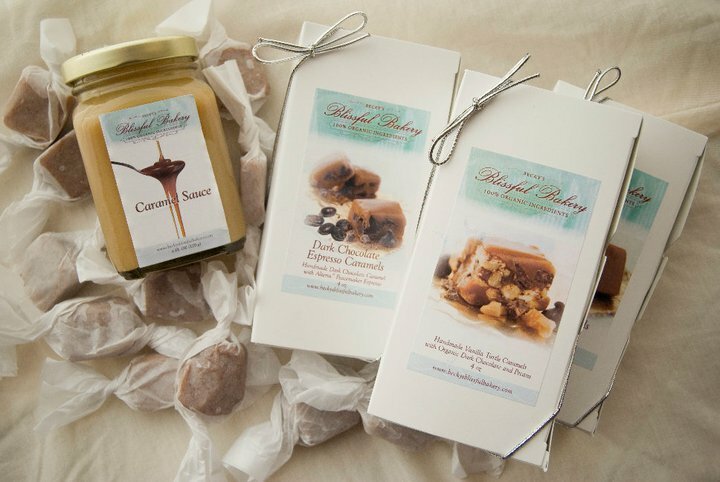 the Beer and Pretzel caramels or the chai tea caramels sound super fun! I would like to try the sea salt! I love their Dark Chocolate Sea Salt Caramel, I can't get enough of it. Would love to try their caramel sauce. Dark Chocolate Sea Salt without a doubt!! !